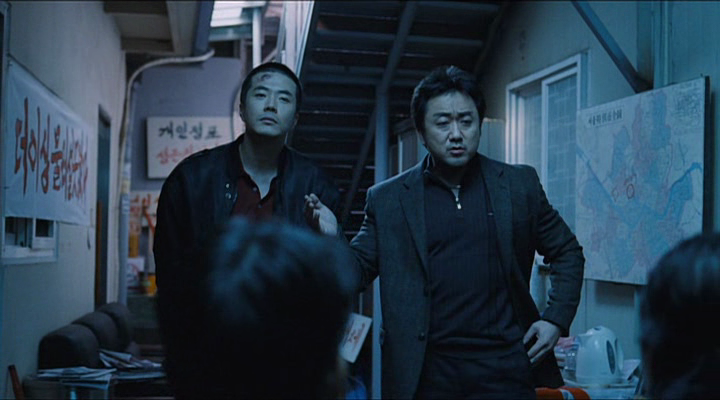 Kwak Kyung-taek is primarily known as a maker of manly films, his filmography includes a number of testosterone fuelled works such as Friend (2001), Typhoon (2005), and Eye For an Eye (2008). So it should come as some surprise that in 2011, his ninth feature was essentially a romance film, or so the marketers behind it would have us believe. The truth is, Kwak is actually no stranger to romance narratives. One of his best films is Love (2007) and if the title wasn’t enough of a giveaway, it is a love story, albeit one played in a world of gangsters. Nam-soon (Kwon Sang-woo) lost his family in an accident when he was young and as a result he no longer feels any pain. He now works as a debt collector whose partner beats him in front of debtors until they pay up. He lives an emotionally barren life until he meets Dong-hyeon (Jeong Ryeo-won), a street stall vendor who suffers from hemophilia. As their unlikely bond grows stronger, Nam-soon gradually opens up and a lifetime of hurt washes over him. Having seen six of his films I’m still a little undecided as to how good a filmmaker Kwak is. Friend was a strong feature that prompted such a wave of popularity in Korea that it carried him to the upper echelons of the industry, not least because the film was reportedly based on his own youth. His films are always polished and are well put together but he lacks a visual stamp, which is a defining feature for many of his confreres in the industry. Aside from male characters, the most defining characteristic of Kwak’s films is the omnipresence of his protagonist's backstories, they are never free of tragedy or their social class. Structurally this will be conveyed in one of two ways, either we are presented with the tragedy or poor social setting beforehand as a prologue to the events of the films, such as in Friend, Mutt Boy (2003), and Love, or we discover their traumatic backstories through flashback, like in Typhoon, Eye for an Eye, and now Pain. 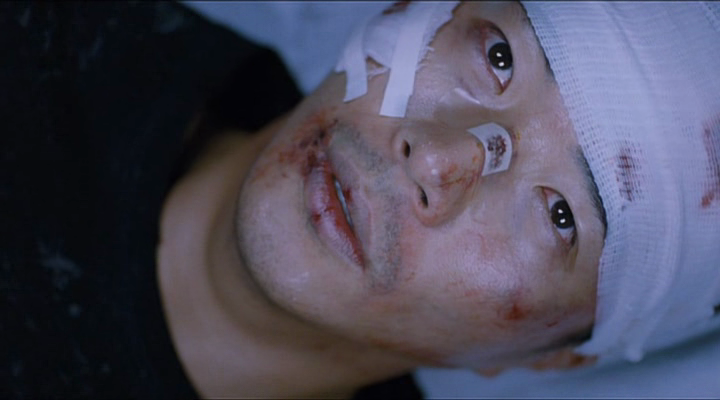 Like so many Korean films that have come before it, the source of the protagonist’s anguish in Pain is rooted in a deadly car crash. Off the top of my head, in 2011 alone, I can think of Champ, Blind, and the popular K-Drama City Hunter that have all used the same trop. Granted it is an effective tool but perhaps more to the point, it has believability on its side. There aren’t many accidents that can wipe out most of a family and still be deemed plausible. Fires (also very popular in Korean cinema) and vehicular collisions pretty much fill out this list. Riskier still are the ailments of the lead characters. Analgesia and hemophilia are conditions that we do not encounter on a daily basis, far from it. So to have two characters suffering from them meet and fall in love goes quite a ways to stretching credulity. Misgivings aside though, it works surprisingly well. It’s original and leads to some novel situations while also accentuating the emotional highs and lows of the narrative. Of course Nam-soon's insensitivity to pain is also a metaphor for the suppression of his traumatic memories, to the point where he can no longer feel them or any thing else. He holds himself responsible for his family’s death and as a result constantly subjects himself to punishment. Since he cannot feel pain, this cycle can only accelerate and escalate, never providing any relief. Throughout Kwak’s films you won’t find many strong female characters. Even in Love, the presence of the female romantic interest is largely symbolic: the impetus of the film’s actions rest on Joo Jin-mo’s character’s shoulders. I wondered whether Pain would suffer a similar fate but thankfully Dong-hyeon is afforded much more characterization than previous women in his films. Perhaps even more successful is the casting of the delightful Jeong Ryeo-won, who was wonderful in Castaway on the Moon (2009). She’s perfect for the part, equal parts tough, vulnerable, and cute, and as always, a joy to watch on screen. I think that Pain stands as one of Kwak’s best films, even though it was far from his most successful one. The only part of the film that drags is the end, which smacks a little of inevitability. However, it does make reference to the conclusion of Park Kwang-su’s seminal Chilsu and Mansu (1988), whose damaged characters find themselves at an impasse by the film's end. They stare down into a precipice from up on high, not quite understanding what lead them there and helpless as they await their fate, forced upon them by a traumatized society, which is breathlessly trying to move towards the light.